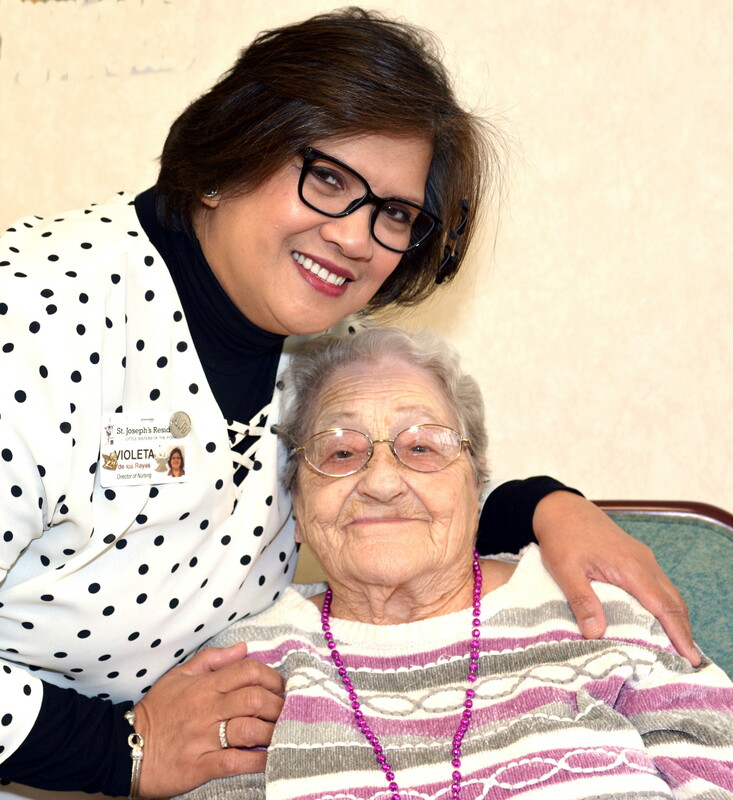 "Being a Director of Nursing for over 8 years, I still believe Our Lord directed my professional nursing career to St. Joseph’s Residence and to helping the Little Sisters of the Poor in their mission of caring for the elderly. My role is more of a vocation than a career, especially within this Christ-centered environment. From my experience, it is a unique place because of the family-oriented culture. I am really happy to be here and work for the Little Sisters and with the wonderful and dedicated staff." To Chef Stu Martinez, fresh food is a passion he’s developed over decades of culinary experience as a teacher and educator. 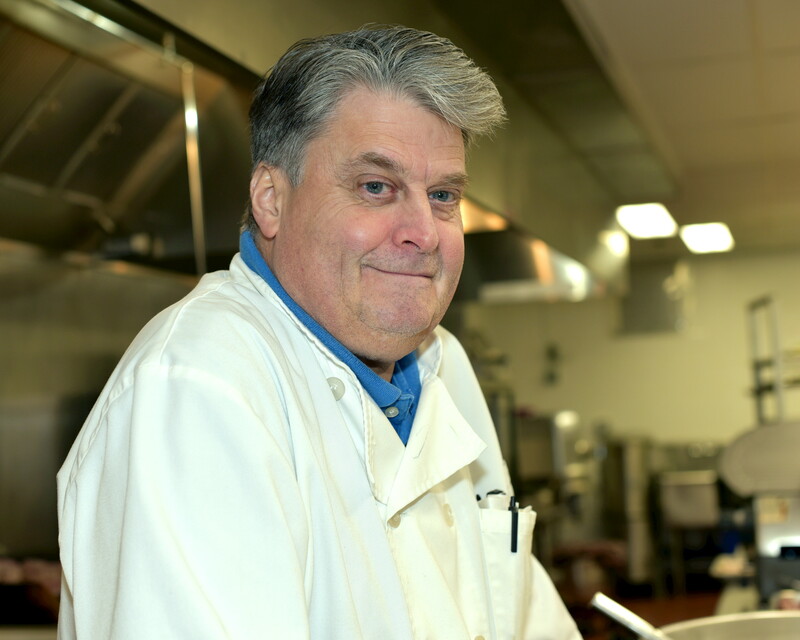 He sums up his food philosophy with “it’s all from scratch.” He arrives at his state-of-the-art and spotless kitchen before dawn to create delicious and interesting daily meals that delight the Residents, the Sisters, retreat visitors, and special guests. And Stu also enjoys preparing for special events such as feast days and the monthly Residents’ birthday party. “It’s the fresh food and the personal touch,” he says, “that turns the meal into “comfort food. Diane Falkowski, Therapeutic Recreation Director, says she doesn’t know where she’d be without the Little Sisters of the Poor and St. Joseph’s Residence. 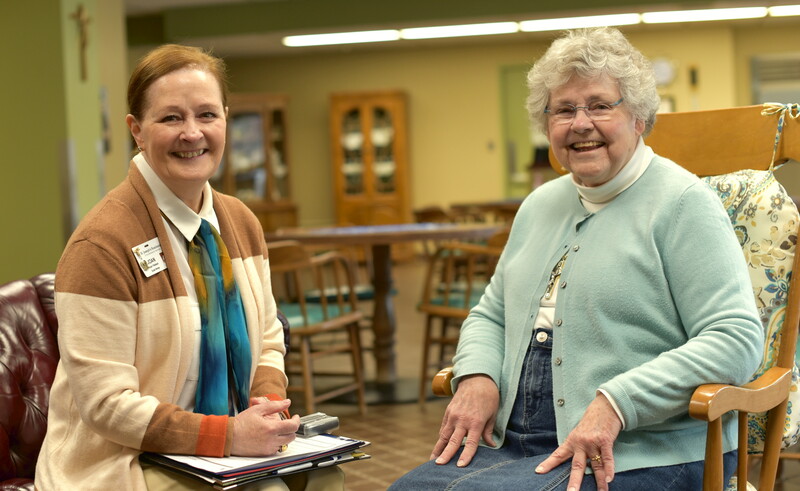 A 39-year employee of the Home, her biggest thrill is helping the Residents every day to lead a better life and working with them to determine just what they want and what they need in order to do that. Diane has held several positions through the years and feels now that she has the best job in the whole world. 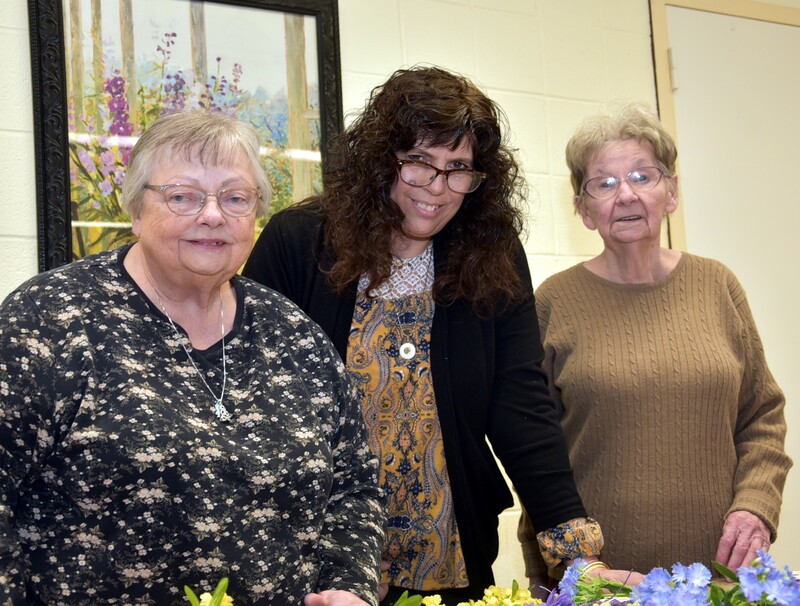 Danielle Hurley, a 10-year employee of Saint Joseph’s, fills the dual role of running Arts and Crafts and sharing Activities. The bright and colorful Arts and Crafts room, open around the clock, is stocked with supplies and materials for any project. The Resident hobbyists who spend part of most days there are having fun and socializing, but, Danielle points out, they are also serving the mission of the Little Sisters of the Poor. “Basically these guys have a hand in every fundraiser,” says Danielle, “filling the gift shop with beautiful items for sale and selling items at events like the home show and golf tournament.” Danielle delights in the weekly outings to stock the Residents’ store and make the rounds of the Post Office, the Dollar Store, Walmart, and an occasional special lunch. “We’re all one big family here,” says Danielle, referring not only to the creative space, but also to the outings she and Diane Falkowski arrange for Residents from every floor. “It’s all about the Residents,” she says, crediting having learned so much from the Sisters about what she enjoys doing each and every day, in Arts and Crafts, and throughout the house.